J.T. 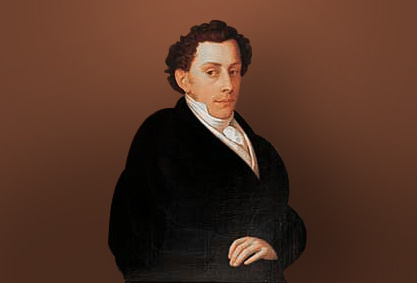 Ronnefeldt KG was established by Johann Tobias Ronnefeldt in Frankfurt am Main in 1823. Recognised of it’s quality, the popularity of Ronnefeldt Tea grew rapidly and Johann Tobias had many dignitaries as customers such as the Russian Czar and European Noblemen. 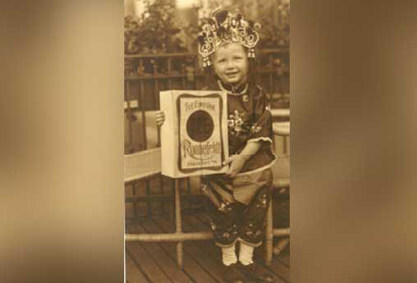 By the early 1900’s Ronnefeldt was already trading tea with Asia – Pacific countries, mainly with the Chinese in Fuzhou (previously known as Foochow) in Southern China. Trade with remains strong with China and also Japan today. 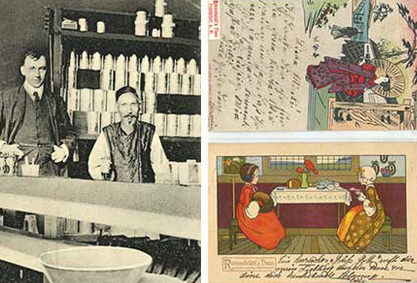 In 1904 renown Art Nouveau artist Hans Christiansen designed an advertising poster for the tea house, with a dragon’s head as a symbol for Chinese tea, signifying strong ties to China. On February 1st, 1951 Ronnefeldt celebrated its 125th anniversary in the new business premisesat Kurfürstenplatz in Bockenheim. The building, a former corset factory, became a tea processing plant. Ronnefeldt was the title sponsor on the football team Eintracht Frankfurt’s advertising handbill from 1957 to 1965. 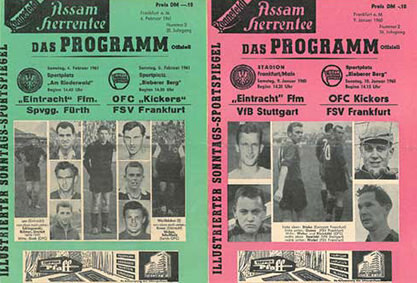 The “Assam Herrentee” accompanied the, at that time, greatest success in the club’s history, the German Championship in 1959. 1975, Frank Holzapfel joined the company as the Headof Sales and Marketing, and worked in close cooperation with Georg Lülmann and Herwarth Westphal and became the sole owner in 1984 in accordance to the wishes of Herwarth Westphal, the grandson of Carl Rudolf Ronnefeldt, after which he began expanding the reach of Ronnefeldt Teas throughout Europe. 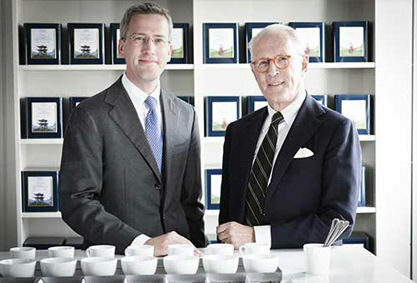 2002, Jan-Berend Holzapfel, son of Frank Holzapfel, joined the company after completing his studies in Vienna and at the University of Illinois/USA and began a more global representation of Ronnefeldt Teas. 2015: the next step in the evolution of Ronnefeldt; 1823 Tea Lounge by Ronnefeldt, premiering globally at Gaysorn Luxury Mall in Bangkok, Thailand. 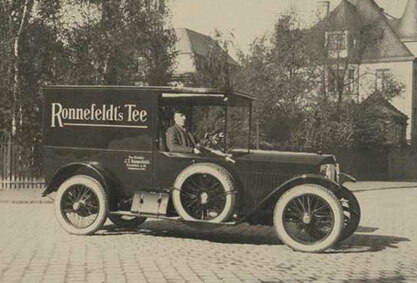 Teehaus Ronnefeldt was founded in 1823 by Johann Tobias Ronnefeldt in Frankfurt, Germany. Ronnefeldt therefore is one of the oldest tea companies in the world and was trading tea before the tea growing regions in India and Sri Lanka existed (here the tea came with the British Empire in the mid19th century). Johann Tobias developed his passion for tea and his knowledge during his travels to Rotterdam and London. His first customers were the hotels around Frankfurt, where the Russian dignitaries frequented. Then swiftly Johann became a principle supplier to the Russian Tsar. Today Ronnefeldt teas are available in luxury hotels and restaurants in over 70 countries worldwide. Ronnefeldt tea experts specialise in importing, blending and aromatising top-quality teas from all major tea-growing regions including India, Sri Lanka, China, Taiwan and Japan. To guarantee the highest possible quality Ronnefeldt tea leaves are hand picked and prepared exclusively according to orthodox production method. For Ronnefeldt teas only two leaves and one bud are plucked; the youngest and mildest part of the tea plant which is the traditional way of producing tea, mastering the art of tea craftsmanship and the only method to produce leaf teas to the highest level of quality. Unlike many other teas on the market, no chemicals are used in in the production of Ronnefeldt teas. 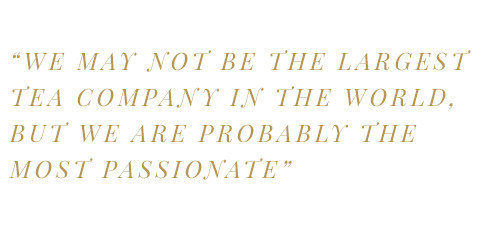 For more than 190 years Ronnefeldt has been proud to share passion for tea and hospitality with tea lovers around the world. Conceived by Gaysorn and honed in partnership with Ronnefeldt, this iconic and timeless concept embodies the true spirit of Ronnefeldt and years of tradition in tea blending whilst presenting a fresh twist to the globe’s most consumed beverage over the ages. A unique destination concept with subtle classic and contemporary European influences has been crafted especially at Gaysorn, Bangkok; a venue to see and be seen and a welcoming environment to interact with other tea lovers. The Tea Lounge will serve an extensive range of premium hand crafted Ronnefeldt Teas comprising the highest grade loose leaf teas from the worlds most important tea growing regions, carefully selected by the Ronnefeldt Tea Master. Loose leaf teas will also be available for retail and packaged within specially designed tins. The Lounge will also showcase the exclusive ‘Bangkok Blend’ and ‘Gaysorn Blend’ and a variety of other teas and merchandise. An extensive array of tasty pastries, cakes, chocolates, afternoon tea sets and light meals, some with an Austro / German focus and flavour, will be available throughout the day.